In this episode of First Things First, I sit down with Salvatore Castro from SAP, the world’s leading enterprise application software, and analytics and business intelligence company. 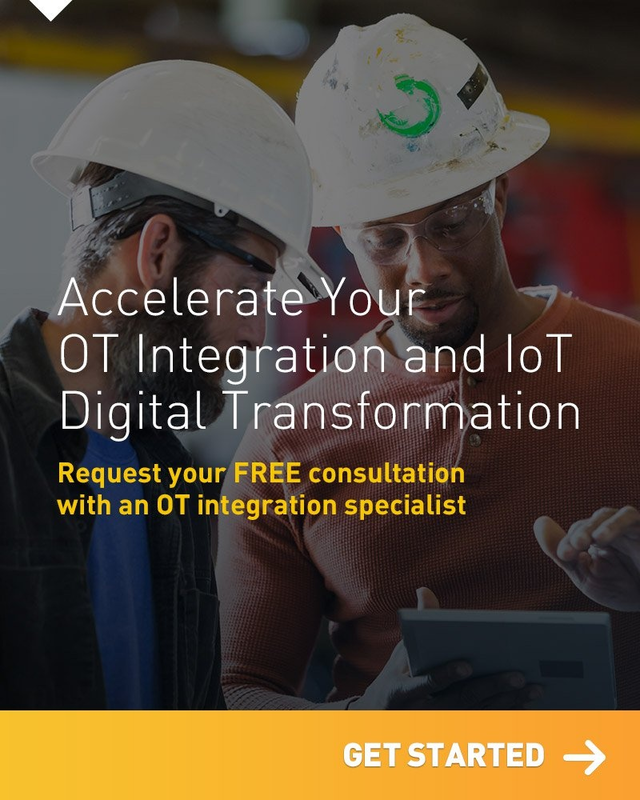 Salvatore shares the organization’s most recent observations in the industrial space and takes us through a real-life scenario of IIoT integration, while highlighting best practices & partner fit for managing OT/IT integration on a factory floor. Salvatore explores the concept of IT/OT integration, some recent industry-wide developments as a result of increased awareness of IoT throughout the factory space, and what this means to one Fortune 100 machine builder as it implements more advanced forms of IoT on the factory floor. Consider who delivers and who derives value from your deployment. Factory Floor or otherwise, everyone has something to learn from Salvatore. Consider your stakeholders. Almost 80% of IoT deployments are considered failures by their organization; make sure stakeholders are involved early to define the KPIs that the IoT deployment will drive. Don’t forget about the Edge. Many IoT deployments start as simple sensor-to-cloud data models; but often data can derive significant value close to the point of data collection itself. Choose the right partners. Could a multi-billion dollar organization connect its production line to the internet by itself? You bet. But instead, this org went with IT and OT integration experts; in this case, SAP and Telit specifically. Salvatore joined SAP in July of 2005 with the acquisition of a small company called Lighthammer. At the time, Salvatore was doing implementation consulting, field enablement, custom development, and training for the core products (Illuminator, Xacute, UDS, CMS) which have since matured into the core SAP Connected Manufacturing products (Mfg. Integration & Intelligence or MII and Plant connectivity or PCo) that you see today. After a few years Salvatore moved into the SAP LoB Manufacturing Solution Management group which is directly responsible for strategy, direction, and customer adoption of all of the manufacturing products at SAP. The areas that Salvatore is specifically responsible for within this group is ‘Industrial Analytics,’ which is represented by the SAP MII, DMI, and PQM products of which I am the solution owner. In this role, Salvatore is actively working on short term features and deliverables and how they are positioned with our broader SAP investments to solidify the SAP Digital Manufacturing strategy as a key pillar of our GTM strategy and also for product development investment.